The importance of a solid roof cannot be overstated. From asphalt and concrete to slate and clay, your options here are luckily numerous. However, have you given metal roofs some thought? If not, we are here to show you all the benefits you can get in case you opt for this type of roof. Take a look. Metal roofs come in many varieties and you should choose the one that best suits your location and environment. First up, steel roofs! These are probably the first thing that comes to mind when you think about metal roofs. Often used for commercial projects, they are used in residential building more and more. Seeing as how it is among the hardest roof options, it is suitable for most weather environments. A big advantage of opting for a steel roof is its price. It is the least expensive of all metals. Moreover, if you care about saving the environment, have in mind that steel is the most recycled material in the world, which means it a great green material. Its price, recyclability and availability make it a great option. Next up, aluminum roofs! Due to their resistance to salt corrosion, these roofs are mainly used in coastal climates. The price of aluminum varies depending on the market. It is usually more expensive than steel and, because of it, used in much thinner thickness. This approach can damage the roof if used in surroundings with high winds and hail. Zinc roofs have the ability of self-healing. This means that scratches and marks can disappear in time as the patina forms. Moreover, zinc can be easily manipulated into different shapes. The energy that it takes to melt zinc is around a quarter of that necessary for melting steel, which makes it extremely eco-friendly. However, seeing as how it is a soft metal, it can easily be damaged by the weather. This variety has been used for centuries all over the world. In the right environment, a copper roof can last for over two hundred years. This fact puts it in the pricier range but its aesthetic appeal is incomparable. If you are looking for thermal and energy efficiency as well as longevity, opting for copper roofing might be the way to go. Moreover, it is 100% recyclable, which is always a plus. While a metal roof might still sound strange, you should take into account all the benefits it can provide you with. 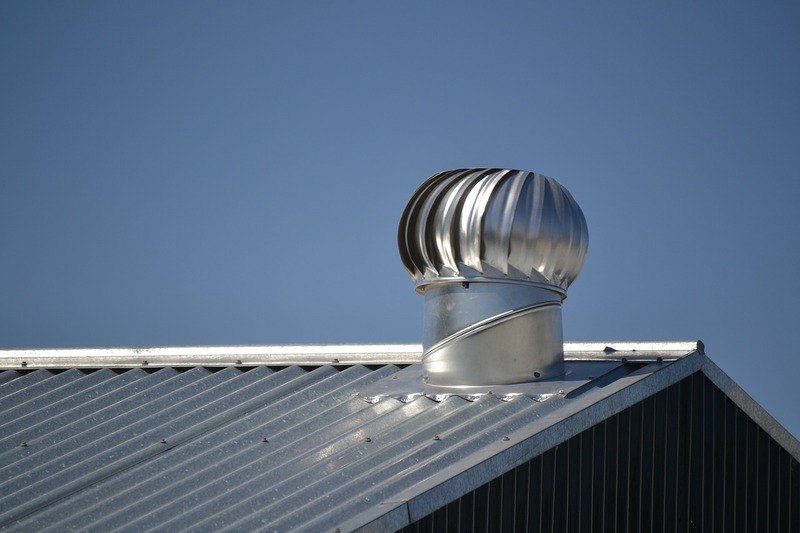 If a metal roof is installed properly, you can expect it to last for a very long time. Most companies offer 20-50 years of warranty on metal roofs. This life expectancy means that you might need some small repairs over time, but a metal roof is usually a once-in-a-lifetime investment. Another thing to have in mind is the weight of these roofs. They are very light, from 50 to 150 pounds per square. This means that there will probably be no need for any structural work. Some types can even be installed over the existing roof. Seeing as how materials come in wide panels or multiple-shingle sections, installation is quite quick. Make sure you find an experienced professional who can do this in no time. Metal roofs are non-combustible and usually carry the Class A fire rating. However, if you decide to install them over an old roofing material that is combustible, such as wood shingles, it can lower the fire rating to Class C.
Picking the right roofing material can have a great impact on your utility bills. Metal reflects heat from the sun and thus minimizes the need for air conditioning. Due to the slick surface of the metal, rain and snow cannot accumulate. Moreover, the snow melts quicker thanks to the dark tones of the metal roofing. In the US, houses with a metal roof usually do well on the market. Homeowners are able to recoup more than 75% of the money they invested in the new roof. As you can see, the benefits of installing a metal roof are plenty. Have in mind that this option can be a bit pricey, but it is one that will last you a lifetime. Wednesday, 26 September 2018 Home Exterior - How to Pick the Best Color for Your House?